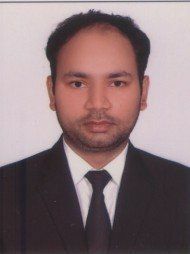 Dear Sir, I have worked with LIC as temporaray Assistant for a period of 150 days before 04.03.1991. As per the new CGIT Order did the LIC make the above candidate as a permanent staff or not ? Or they will conduct written test/interview for the appointment. Pls. clarify. The Life Insurance Corporation of India appointed several candidates on temporary basis from 1982 and when the candidates worked on temporary basis upto 1985 in class III service claimed for absorption, corporation rejected their claim. The candidates thus filed the matter before NIT and NIT directed corporation to absorb them in permanent posts. Then the corporation with the compromise of 8 unions framed a scheme fixing 85 days minimum service to class III employees for absorption and obtained Supreme Court's approval. The Hon'ble Supreme court while approving the scheme of LIC clearly stated that this compromise is binding only on the present candidates ( who worked during 1982- 1985 ) and the 8 unions who entered into compromise with LIC with out prejudice to the rights and contentions of another union who did not enter into such compromise. Supreme Court in its' further orders also clarified that this scheme is not binding on the candidates appointed after 1985. While you have stated in your question that you worked for 150 days before 4th March 1991, you have not stated your exact dates of employment with LIC. We need to know the same to see if you fit in the frame as per the above mentioned information. We also need to know in which class do you fall, were you appointed by following the procedure under the Life Insurance Corporation of India (Staff) Regulations, 1960 or any other instructions issued by the Corporation?Further have you applied on or prior to 21.08.2015 to LIC for being absorbed? LIC while absorbing the candidates appointed upto 1985, later i.e. after 1991 purposfully stopped giving 2nd term appointment to subsequent candidates and as a result the candidates who were appointed after 1991 could work only one term i.e. 44 days. This fact of giving only one term appointment to subsequent candidates was not brought to the notice of CGIT in ID No. 27/91 and therefore CGIT fixed 85 days as qualifying service for absorption. Now LIC through its' notification dt: 21-7-2015 called for applications from candidates who worked on temporary basis in various branches of LIC for a period of 85 days in class III service ignoring the future of the candidates who could work only for 44 days for the reason best known to LIC only. The unions which supported the earlier candidates in every stage i.e. right from IDs till the present supreme court order are silent in of candidates who could work only for 44 days. Kindly provide us the desired details or contact a top rated labor and service lawyer to get further clarifications. Visit the Indian Kanoon section of LawRato to learn more on Indian Laws. Dear Sir, please tell me in which class do you fall, when did you start working as temporary assistant with LIC, were you appointed by following the procedure under the Life Insurance Corporation of India (Staff) Regulations, 1960 or any other instructions issued by the Corporation, do you have the copy or link of the CGIT order? Further have you applied on or prior to 21.08.2015 to LIC for being absorbed? The answer to these question will assist me answering your query with definiteness.